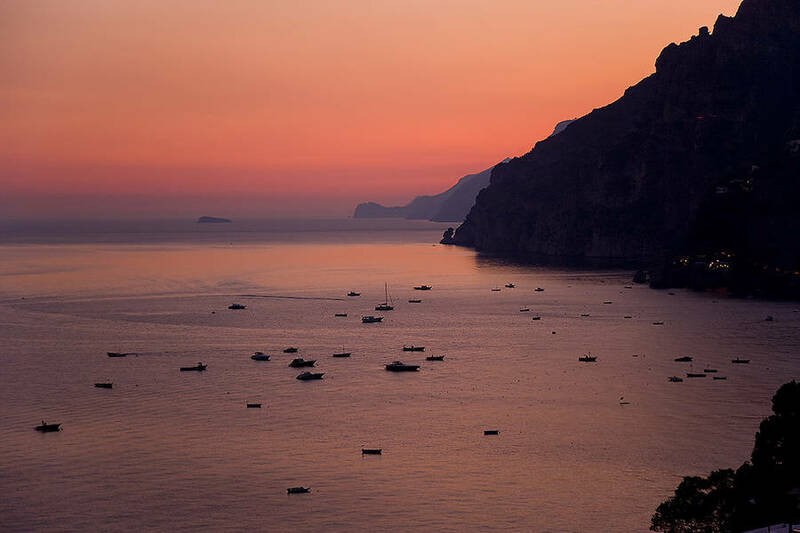 Sea, art and the Amalfi Coast. 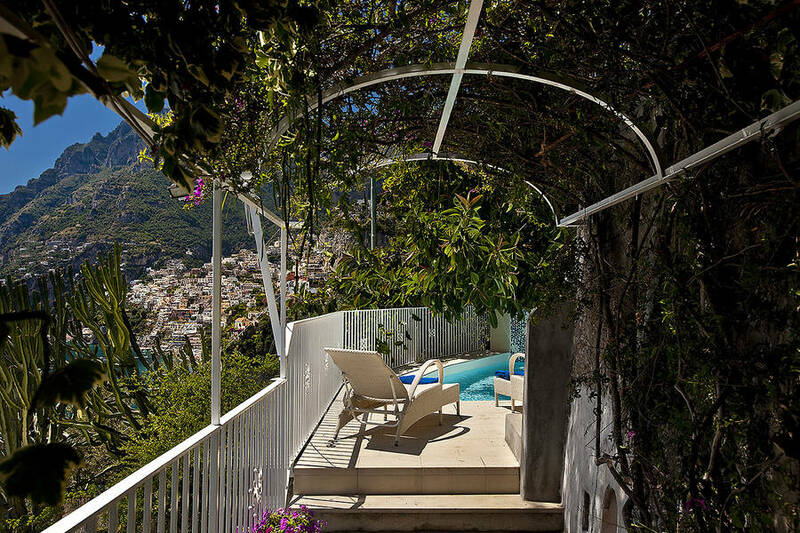 This is what you can expect to find at the Villa Lighea Art Boutique, a typical villa of Positano in which Byzantine influences merge flawlessly with the traditional local architecture. 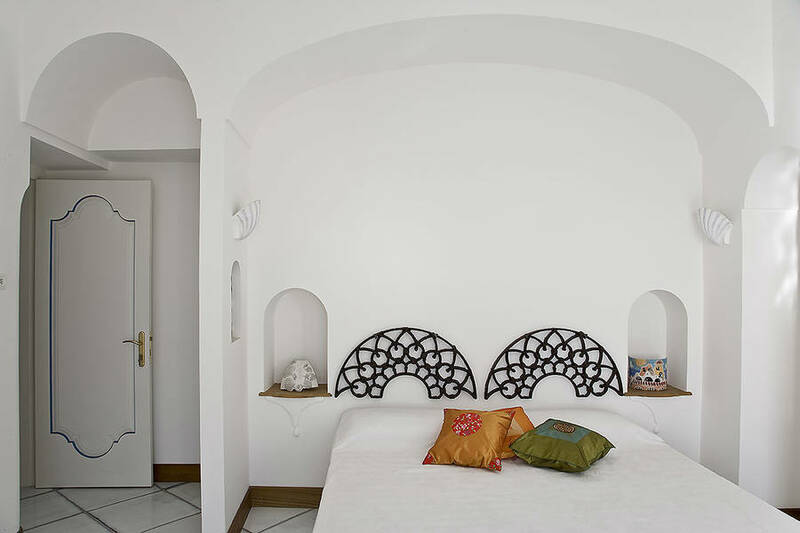 Villa Lighea is a graceful continuation of arches, niches, porticoes, and terraces gazing out over a breathtaking view of the sea of the Amalfi Coast. 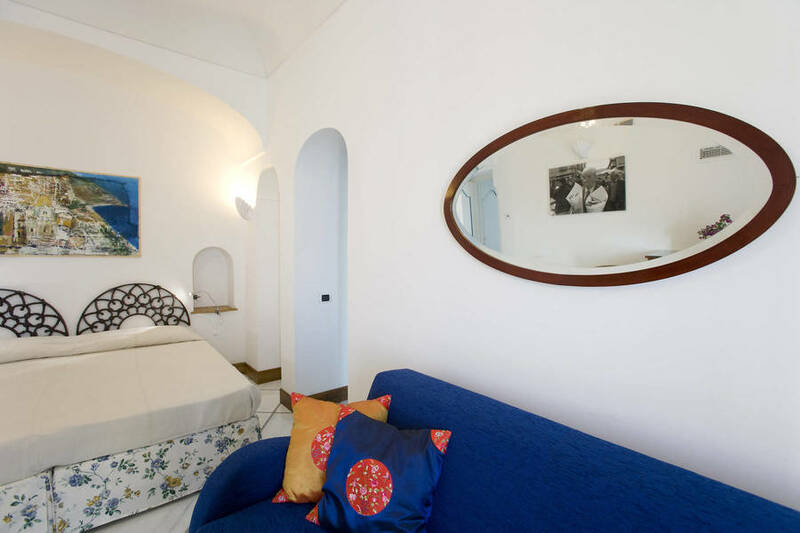 On their arrival, guests are welcomed by owners, Manuela and Roberto, a couple whose passion for art is evident in the fabulous paintings which adorn the interiors of the villa. 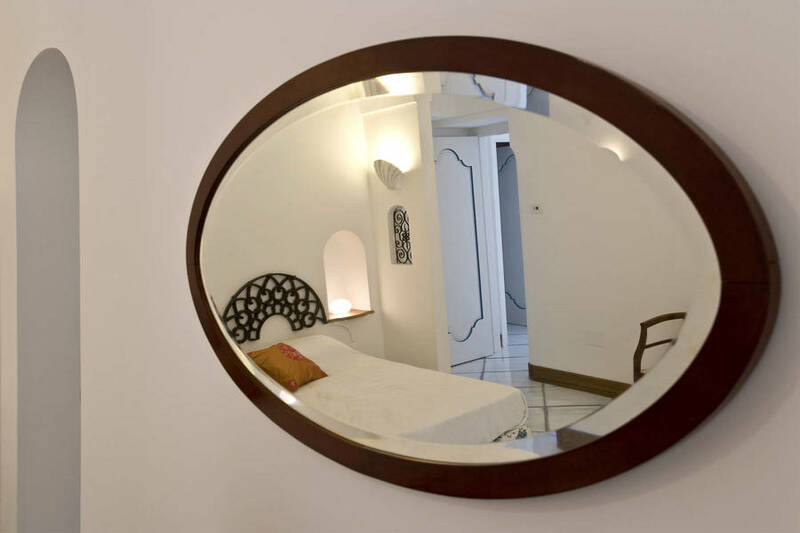 At Villa Lighea, the rooms provide a stunning showcase for works by both local and international artists, some of which of world wide renown, others promising emerging talents. 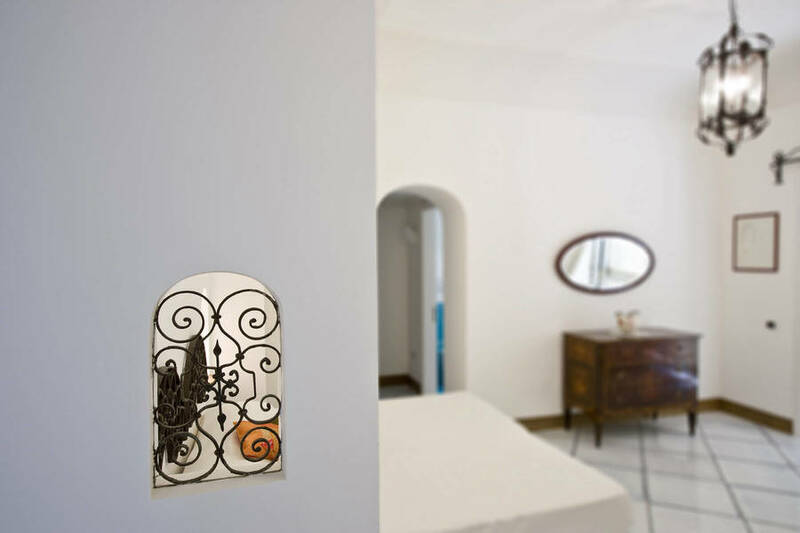 From April 1st to October 31st, Villa Lighea is available for exclusive let only and for a minimum stay of one week (Saturday -Saturday). 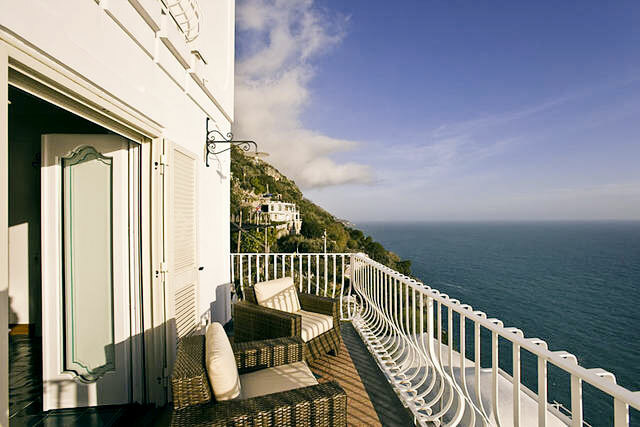 Shorter stays and bookings for individual rooms will be accepted in the winter months only (November 1st to March 31st). 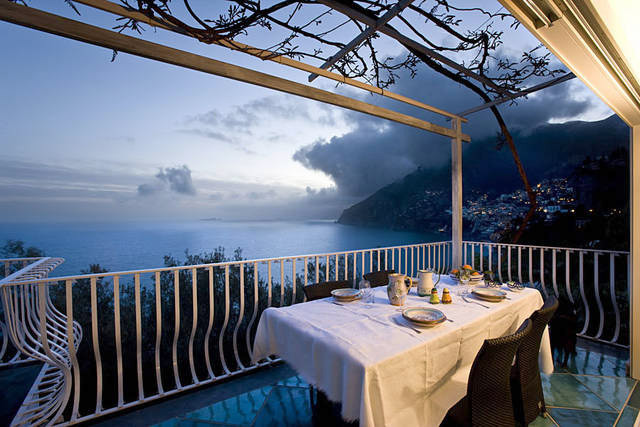 Villa Lighea is the ideal Italian coastal retreat, suitable for either a short break or week-long holiday*. 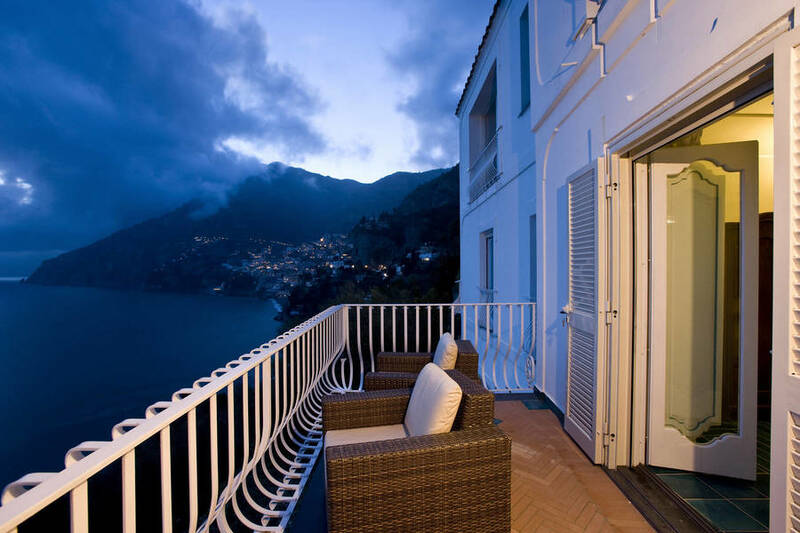 The large lounge is the heart of the villa, a welcoming light filled room which opens out on to a terrace furnished with sofas and armchairs from where to admire a spectacular view of the Amalfi Coast. 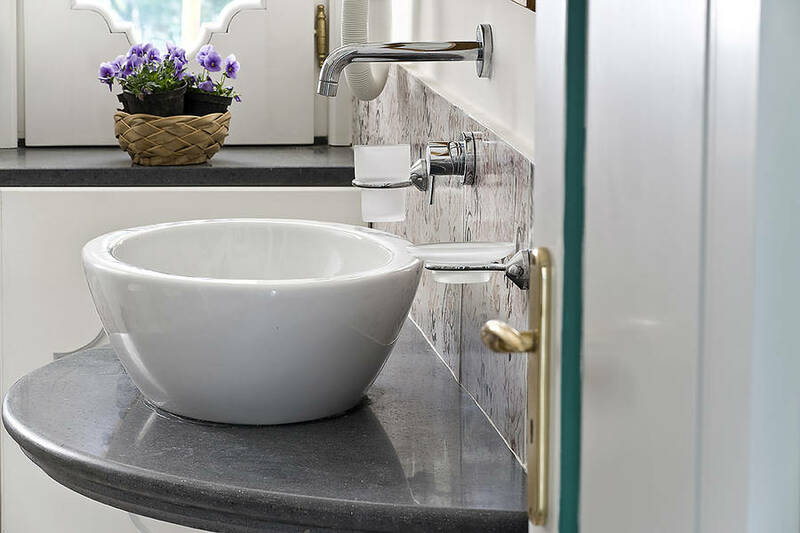 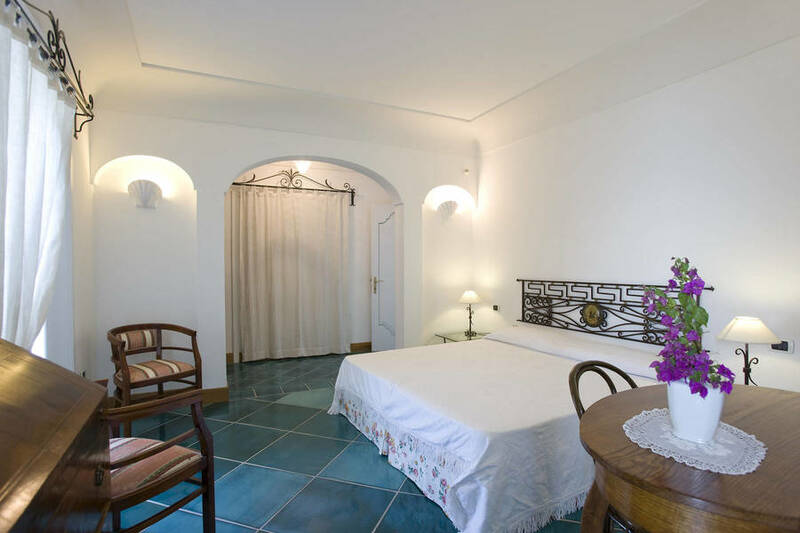 The villa is equipped with professional kitchen and, on request, the services of a chef are available, for an evening or the entire duration of guests' stay. 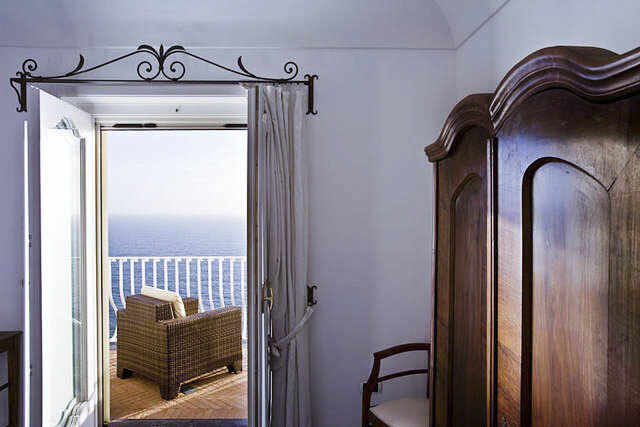 Each of Villa Lighea's five double or twin bedded bedrooms has it's own balcony from where to admire a gorgeous sea view. 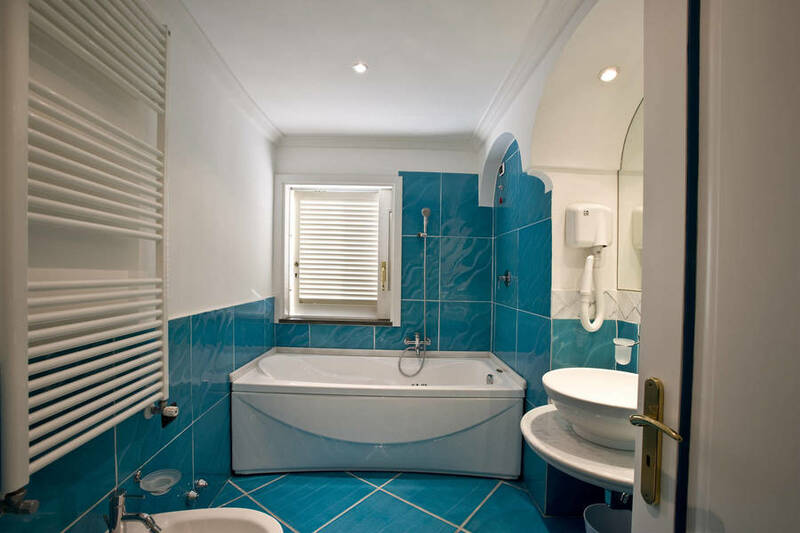 The rooms are decorated in typical Amalfi Coast style, with pristine white walls and pavements in majolica. 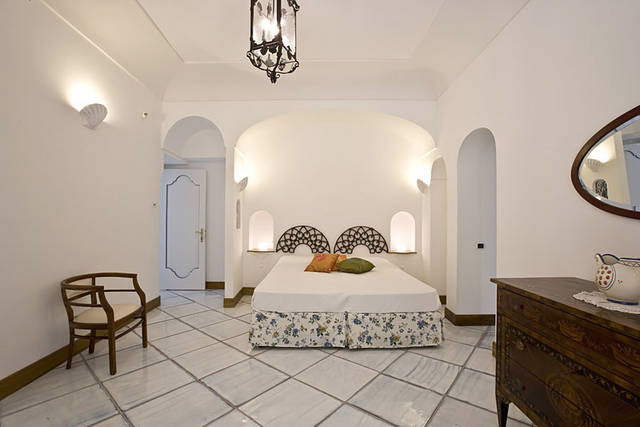 Villa Lighea offers an appealing combination of traditional Mediterranean elegance and the very latest in modern technology. 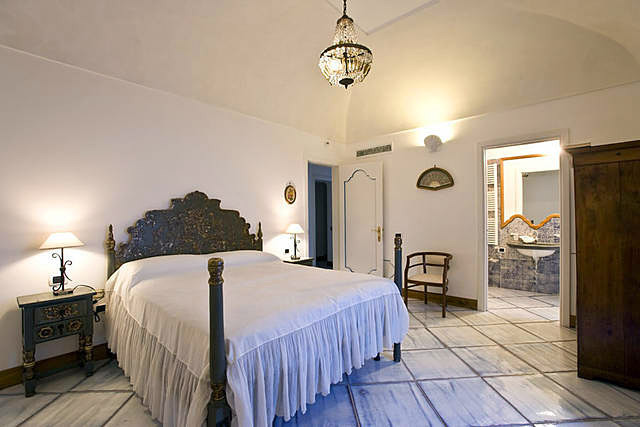 The villa is, in fact, equipped with air conditioning, wireless internet connectivity, whirlpool baths, wide screen television, stereo system and DVD player. 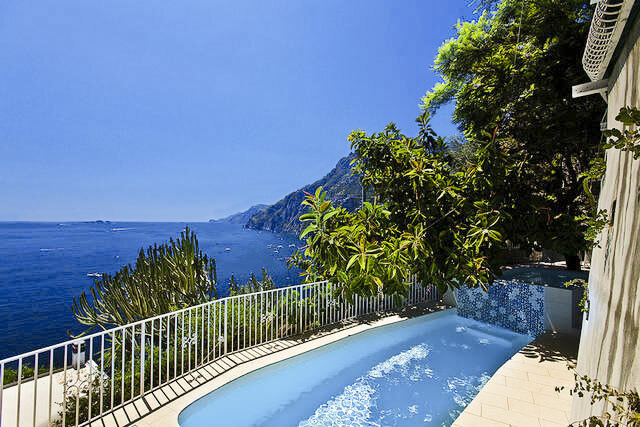 Just below Villa Lighea there is an attractive little lido, with restaurant and snack bar, where guests can bathe in the sea of the Amalfi Coast. 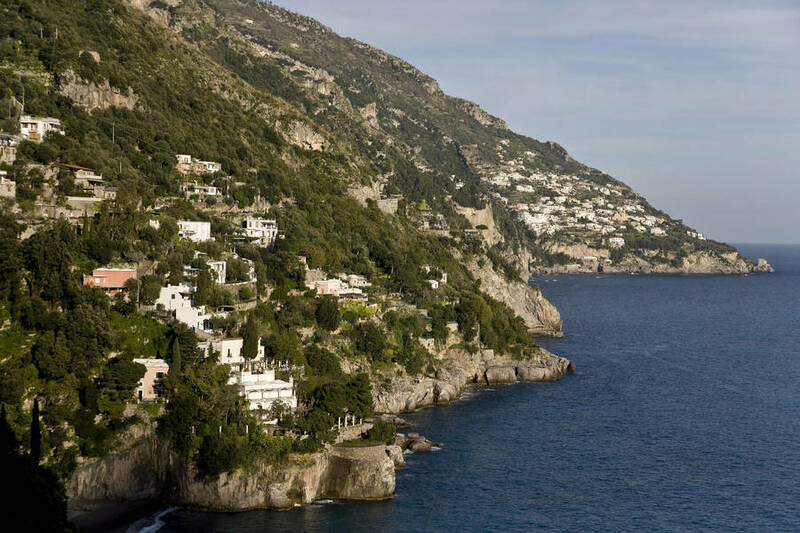 The picturesque little lanes and shops of the historic center of Positano are within easy walking distance of the villa, just one kilometer away. 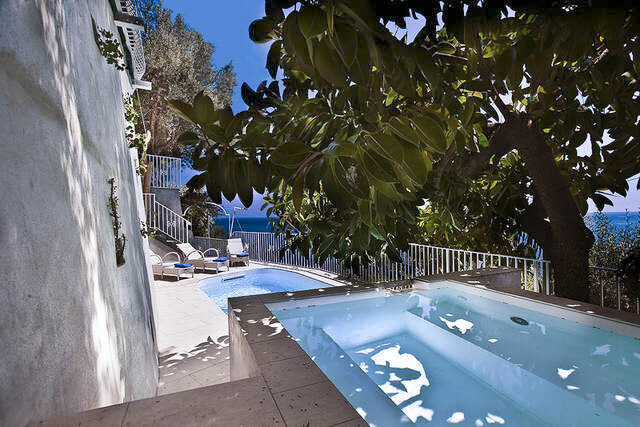 Those reluctant to leave the exclusive environment of the hotel and its luxuriant Mediterranean gardens, will no doubt happily while away the warm summer days by Villa Lighea's gorgeous mosaic-tiled swimming pool. 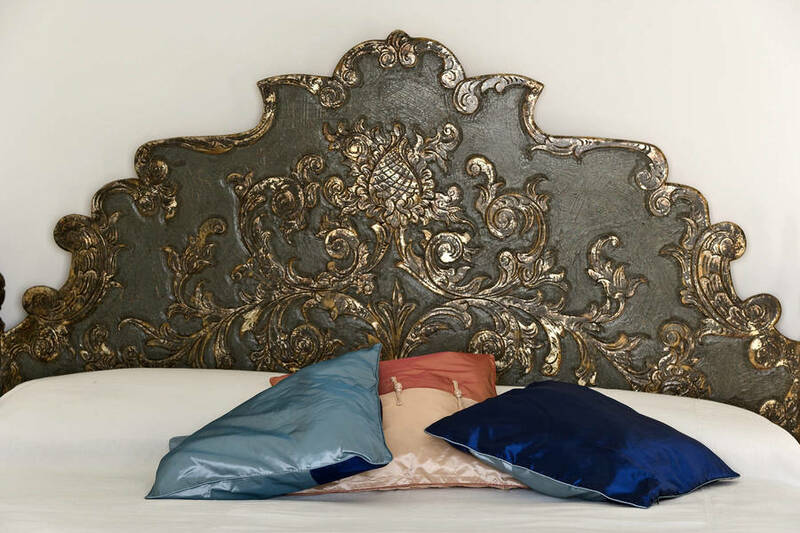 In the last 30 days 21 people have visited this page. 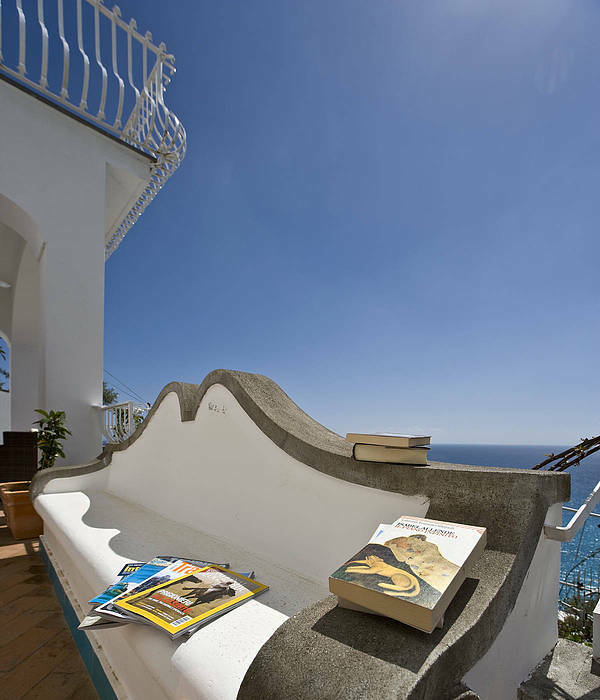 Villa Lighea Art Boutique is an elegant residence situated in the town of Positano, on the magical Amalfi Coast. 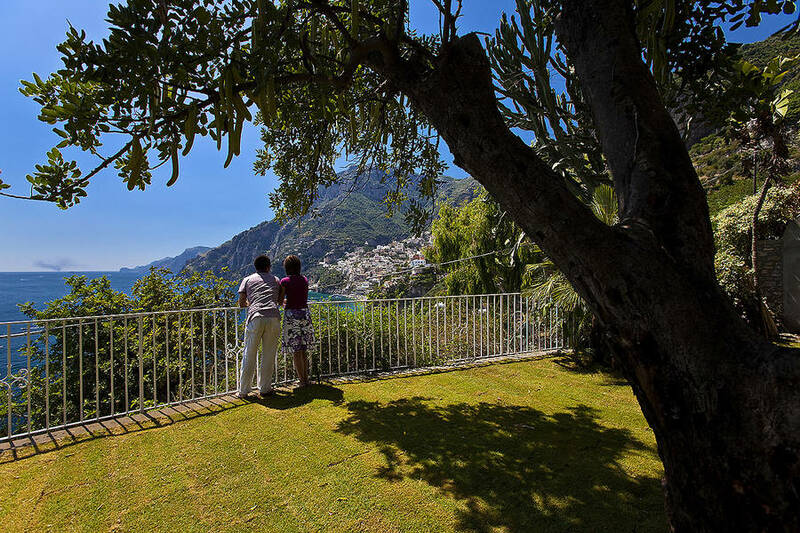 The center of Positano lies within easy walking distance, just 1km from the villa. 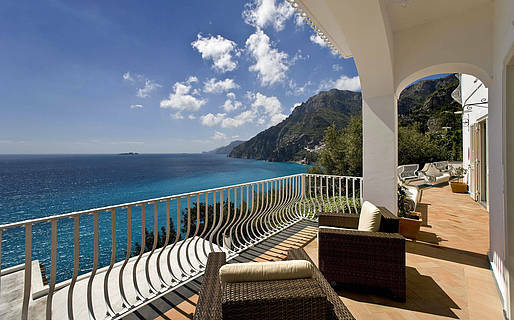 A vacation at Villa Ligea is an occasion to visit all the romantic destinations of the Amalfi Coast, such as the nearby Ravello and Amalfi, but also to venture just a little further a field, to Salerno, Paestum, the Park of Cilento, Pompei, Herculaneum, Mount Vesuvius, Naples and the enchanting island of Capri.